Everyone has their own unique set of life experiences and inventory of knowledge. You may not realize how much knowledge you've acquired, but chances are you've worked at least one job and have learned something from that. Maybe you've overcome huge personal obstacles or survived a challenging health issue, or perhaps you're a master craftsman or have a hobbyist with knowledge of sewing, sculpting, or painting. However life has shaped your unique knowledge profile, the fact is, everybody knows something about something. What are you doing with the knowledge you've gained? Have you ever considered using it to earn an income online? Have you ever wondered if it's even possible? What if you could chisel, polish and package that knowledge into an online business? Read on and learn how. These days, a lot of people would like to make an extra income or even replace their day job. They get an idea to use the Internet for it and discover that there are many options to make money on the Internet. Sounds promising! The problem is, you usually can't earn much (if you could, everyone would be doing it!). But if you did find a way to do it, you'd likely discover that despite your hard working, the ones making the money are the people who own the site you're working on! Finding a product to sell can be time consuming and exhausting in itself. Buying wholesale in order to resell is risky and expensive. It's hard to find drop shippers who will work with you unless you have volume business to offer. If you've ever tried the online auction route, you know why some people call eBay, "Feebay." The cost of doing business can wipe out your profits fast. Looking at that list, you can see why so many fail at online business. The reason is, too many ingredients are missing to create a steady stream of online income which you own yourself. There's a better way to do online business and it's called SBI (short for Site Build It). 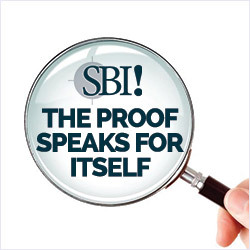 SBI is a reproducible business-building process that works. With SBI, you learn first things first and work step-by-step to build a website, then go beyond that to develop a legitimate online business. You get a full set of instructions and apply them to your own situation. Consider these instructions a roadmap. They're a core feature of SBI called the Action Guide. Work anywhere you want day or night. You set the hours. You own your own business and the equity you build. You can have it, grow it, move it, keep it, sell it or give it away. The choice is yours. Many people will their businesses to their loved ones so it can keep earning after they're gone. Build the business to the size you want and create multiple streams of income. Some of those income streams can be passive! Spend more time with your family by choosing a topic that integrates well with your lifestyle and enlist your family's help. Stay at home with the kids and build a business while they're napping or away at school. Travel more and take your business on the road. Many people work from their RV! In fact, travel could be a subject. The list goes on, and there will surely be benefits unique to your situation. The point is, by creating your own business, the sky's the limit when it comes to freedom, income and self-reliance. While there are abundant benefits in creating an online business, there are downsides. The two biggest are 1) it's hard work and 2) it can take time to earn money. The good news is, done right, it's possible to minimize the time it takes and eliminate some of the biggest mistakes most people make. A lot of people try to build their own business online and many of them fail. Lack of a workable process is a big reason for this, but there are others. Maybe you've experienced these "lacks." They're called lack of guidance, lack of support and lack of inspiration. This is why SBI offers a world-class forum full of friendly, supportive and knowledgeable people. This can come in very handy to keep you going when you need it, if you're stuck or if you just need a boost of confidence. In the offline world, you better have some tremendous skills to start and run your own business there is a lot at risk. With SBI you should know how to send email and surf the Net. That's quite a difference. An enjoyment of writing helps, too, but you don't need to be Donald Trump to get into your own business. With Site Build It, you'll learn along the way. You also don't need to be a programmer, because no coding is necessary. Don't worry about software, either, because SBI's got you covered. Besides the software, there are oodles of tools to run your business and they're all included for one price. Software, process, training and support. Ideas, inspiration and guidance. Come ready to work and have an open mind. With hard work and persistence, you can do it. Many people want to start their own business, but fear holds them back. That's why SBI offers a 100% unconditional money back guarantee. You can try it for 90 days at no risk. If it's not for you, take your money back. Still want to work for others? Sure you'll make money right away, but will it be enough to create freedom and self-reliance? Remember, once you stop working, the money stops too. Build an online business and the money is only limited by your hard work and imagination. Some of that income can even be passive. Imagine living where you want and working when you want, having more time for family and the ability to become self-reliant. Stop squandering your knowledge and stop giving your income to other people. Build an online business with SBI and help yourself, your family and your future. Click here to learn more or to order SBI.